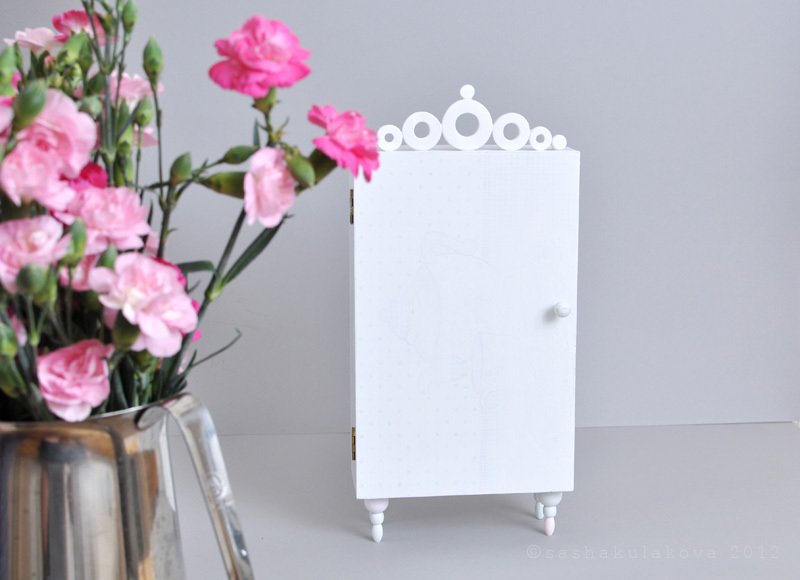 I had an emergency case recently – I urgently needed a toy wardrobe for one of my ongoing project… Peace of cake! One unwanted wooden box, one mirror, a dozen of wooden beads, four screws, a bit of modeling clay and one tube of super glue. Voilà! The wardrobe is ready! This entry was posted in Posts and tagged toy furniture, work in progress. Bookmark the permalink.